As it turns out when two people form a relationship it is a cross-cultural experience, almost an international event of sorts – even when you come from the same city, town, ethnicity, and religion. How can this be, you ask? To help couples appreciate partner differences, and why you find yourself saying, “If she really knew me…”, there is a metaphor that helps this make sense. The metaphor is that when we partner, it’s as if we are coming from different countries. When you meet and fall in love, you are so focused on all of the ways you are alike that you often overlook your differences. That’s okay, according to Helen Fisher, author of, Why We Love, this initial blindness to our differences helps us fall in love and commit – we all do it. However, as that initial period of limerance fades, and you begin to learn more about one another, it soon becomes apparent that you have many differences, too. These differences are not the issue, however. It is how you react to them, and your efforts to make your partner just like you, that causes the trouble in relationships. All families create a culture of how things are done, how love is communicated (or not), and what the expectations are for who you are becoming as you grow into adulthood. We all have our own very unique brew of life experiences from our respective home countries – which gives shape to our beliefs about how things should be, or perhaps how we expect they will be even if they aren’t when we get into a relationship. This is a small sampling of the way it was in my country growing up. It’s not right, it’s not wrong, but it was the way of my people. When we enter relationships we are faced with negotiating traditions, and ways of being, and being together. Whose way is going to be THE way that things are in our newly created melting pot of love? This is where it gets tricky. What was it like in your home country? When you find yourself asking, “If she really knew me…”, chances are, she wants to, but there are no slots for her to understand a cultural mindset (your home country’s way of seeing things) that she has not been exposed to, or learned yet. 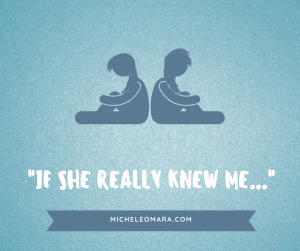 There are other ways this shows up, besides, “If she really knew me…” You might hear yourself also asking: “Why on earth does she_________?” Or “Who in her right mind would think that it’s okay to ________”. Or, “If she loved me she would __________.” These and similar thoughts are simply judgments. These are the thoughts that create a struggle in relationships. The goal in love is not to make each other a clone of oneself. The goal in a loving relationship is to cherish and respect one another for who she is and to help her become who she wishes to be (not who you wish her to be). We commit to a relationship in hopes that we can feel a certain way (secure, loved, desired, respected, appreciated, etc…), and when our differences surface, we are vulnerable to leading our partner to feel exactly the opposite of how she wishes to feel. When you experience your partner doing, thinking, believing, or otherwise expressing herself in a way that seems odd or simply “not right,” to you, pause before reacting. 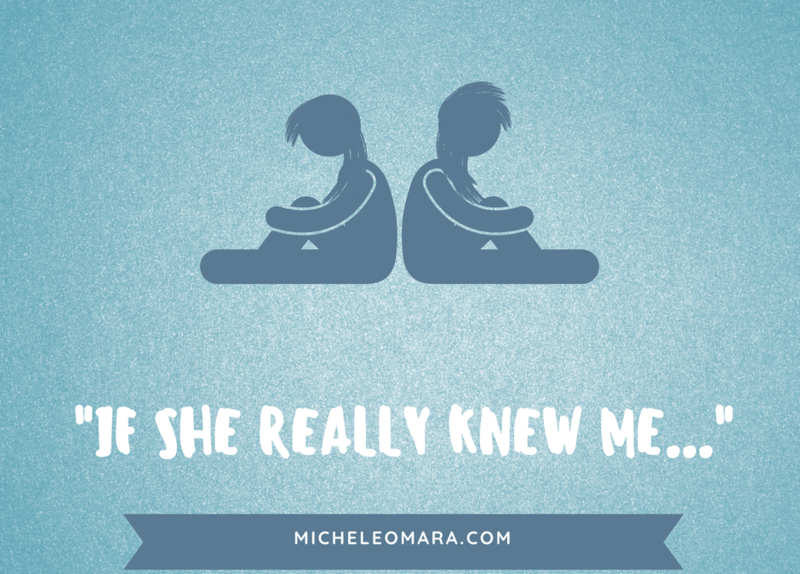 For all of the times, you think to yourself, “If she really knew me…” your partner probably does too! Consider your differences. Seek to understand how this may be a byproduct of how she was raised, and how the people of her country taught her to be. Spend some time learning one another’s love language, customs, and ways of being in the world, and in a relationship. Get real intentional and very conscious about your differences, and practice accepting that you were raised by different people, and taught different things. Are you rejecting the ways of her world? Are you expecting her to be fluent in a love language that is not native to her? Recognize your differences as opportunities to really know one another. Find ways to make room for these differences without judging one another as “right” or “wrong.” Do what works, and soon you may find that the two of you are no longer saying, “If she really knew me…” because even if she doesn’t know everything about you, you know that she wants to. Big, happy, inclusive love to you and all of the people in your country and the countries of those you love!